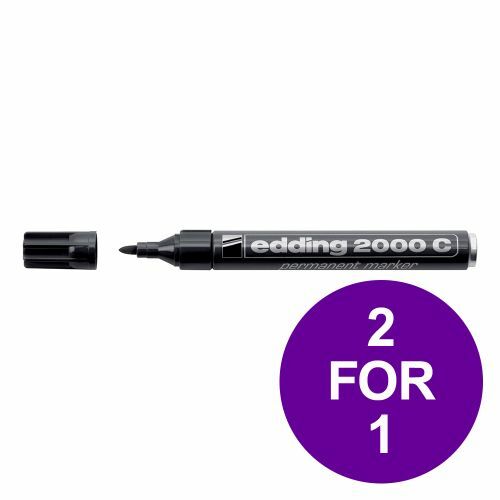 Buy one pack of 10 Edding 2000C Permanent Marker Black and get one pack of 10 for free. 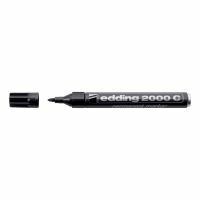 For years, the eddying 2000c permanent marker has been the pen of choice for permanent lettering and markings on almost all every day materials of any surface. Be it on boxes, plastic lids or glass containers; its quick-drying ink is both waterproof and smudge proof. The ink is low-odour and the marker features a bullet nib with a variable stroke width of 1.5 - 3 mm.